Super Summer 2014 Is Almost Here! Before I even knew it, June was upon me! I always feel like I’m in a frenzy, trying to get things done. Working. Driving the kids. Other work. Soccer. Cooking. Cleaning. Taking care of the kids. More chores. Groceries. Working. You know. But back to the fun part. What I like best about summer: memory-making. I love love LOVE knowing that I am making memories with my kids–the kind of memories I remember spending with my grandparents over the summer when my dad was working. Church camp. Ice cream. Fireworks. Museums. Outdoor activities. I loved fishing with my grandpa, playing wiffle ball in the back yard, playing in the lake. Going to the library. Ah, but we’ll save that for another day. 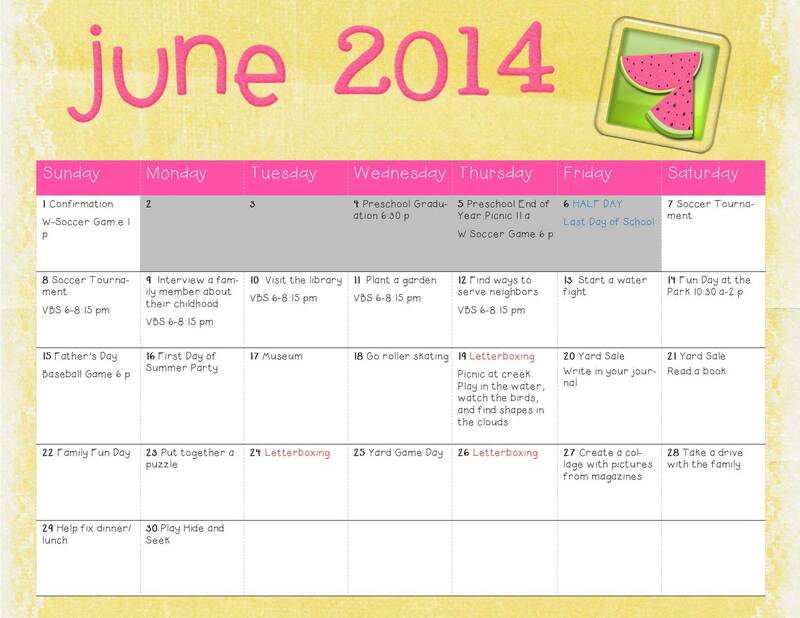 I realized I am way behind in revealing my summer calendar! 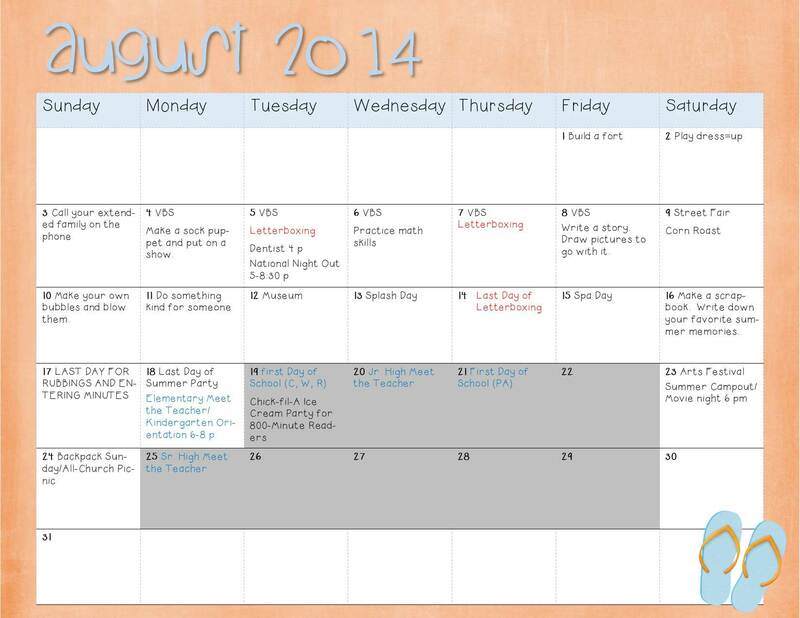 I hope you will check out my summer calendar and come up with some awesome ideas of your own to fill in there as well! Oh, and while you’re here–let me know what you think and what your favorite ideas are! 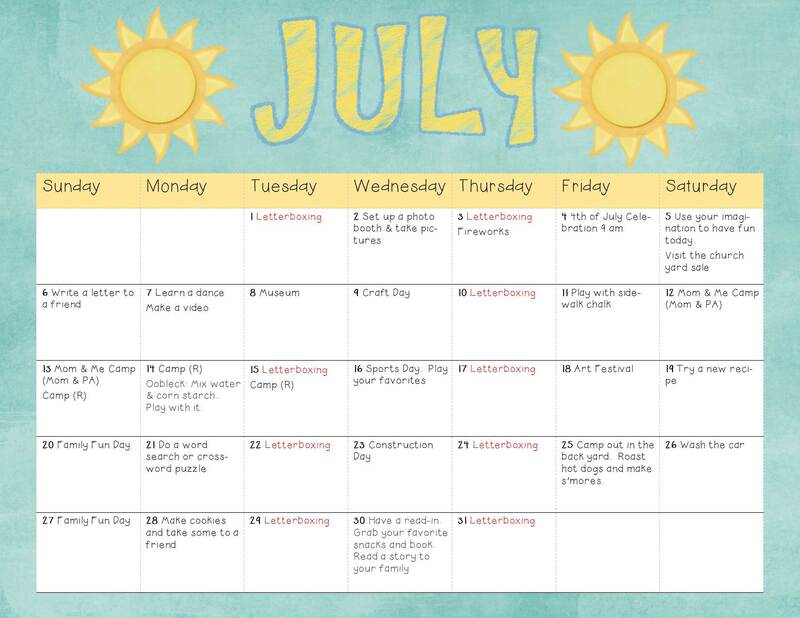 This entry was posted in Activities, Education and tagged activities, blended, break, elementary schoolers, families, family, Mom, moms, mother, mothers, preschoolers, SAHM, school, stay at home mom, step, summer, teenagers, teens, vacation, WAHM, work at home mom. Bookmark the permalink.